Are you a tour operator or group leader searching for the next exciting adventure? 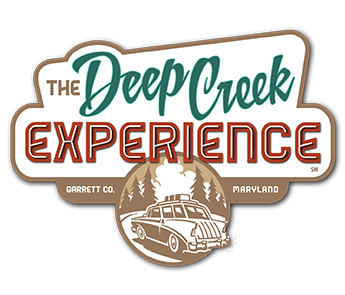 Deep Creek and the surrounding county will be sure to please! Motorcoach trips are a breeze with easy interstate access from major metropolitan areas. Explore our region's unique landscape and one-of-a-kind experiences such as our behind the scenes tours. Take a look at the control center and learn how with the touch of a button, the team at Wisp Resort can produce man-made snow for Maryland's only downhill ski resort. With galleries and locally made creations, your groups will love immersing themselves in the local art scene. Take a tour of Simon Pearce Glassblowing Factory to watch as glassblowers create hand-made pieces. What better way to experience a local culture than to indulge in delicious treats? 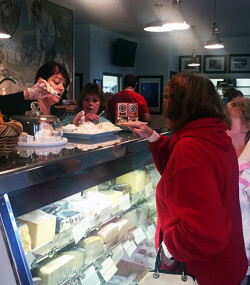 Try locally produced cheese (goat and cow) - see how it is made and then sample delicious cheeses. With Maryland’s rich historic background, Garrett County doesn’t disappoint even the biggest history buff. 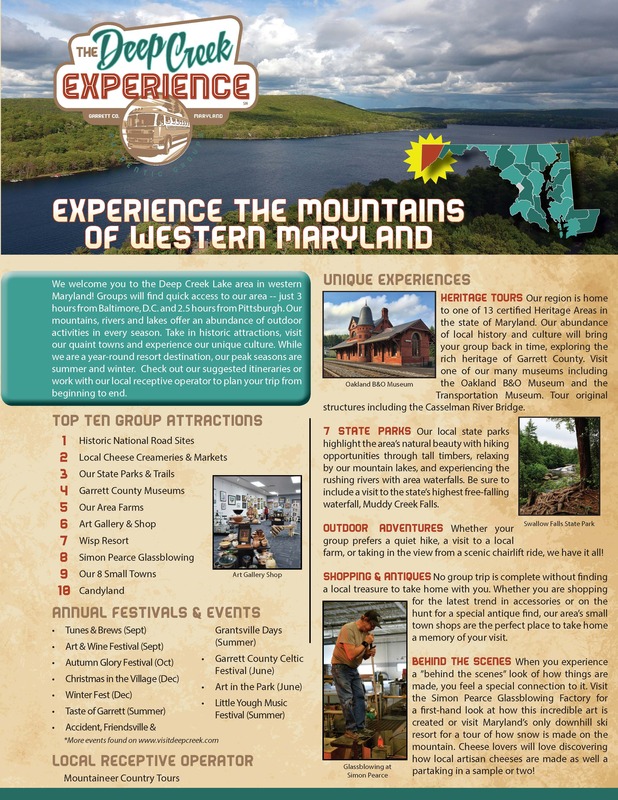 Garrett County is a Maryland certified Heritage Area and is known as “The Gateway to the West”. Take your group back in time with a look at the rich culture of our land. Know before you go! Virtually walk through area attractions before you bring your group! View additional tours. The Deep Creek Lake Area in western Maryland is located just three hours from the Baltimore and D.C. region. We are also just 2.5 short hours from the Pittsburgh, PA area. Contact us to request our Motorcoach profile sheets for all groups from students to senior. See an overview of our group friendly attractions and sample itineraries. After planning what attractions your group will visit it's time to reserve your accommodations, check out the local eateries and plan your extra activities.  Click below to explore our area's lodging options from Deep Creek rentals to cozy lodges and inns all around the county.  The dining page will explore every food option from pizza to gourmet cuisine and don't forget the catering opportunities available. 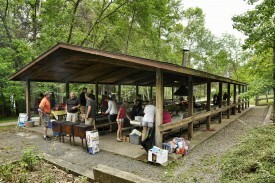 Ready to plan your next group tour in Garrett County? Complete our RFP here.